Off-road ready Jeep SUVs are just a quick trip away when you visit Tilleman Hi-Line Dodge in Havre, Montana! The entire fleet of Jeep vehicles are ready for you to choose from, all with available Jeep lease options worth considering! Whether you're into lower and more flexible monthly payments or getting into a new vehicle year after year, a Jeep lease could be right for you. Plus, you don't have to worry about expensive maintenance as the vehicle ages. Hurry into our Havre, MT Jeep dealership today to learn more! From icons like the Jeep Wrangler and the Jeep Cherokee, we've got it all at Tilleman Hi-Line Dodge in Havre, MT. 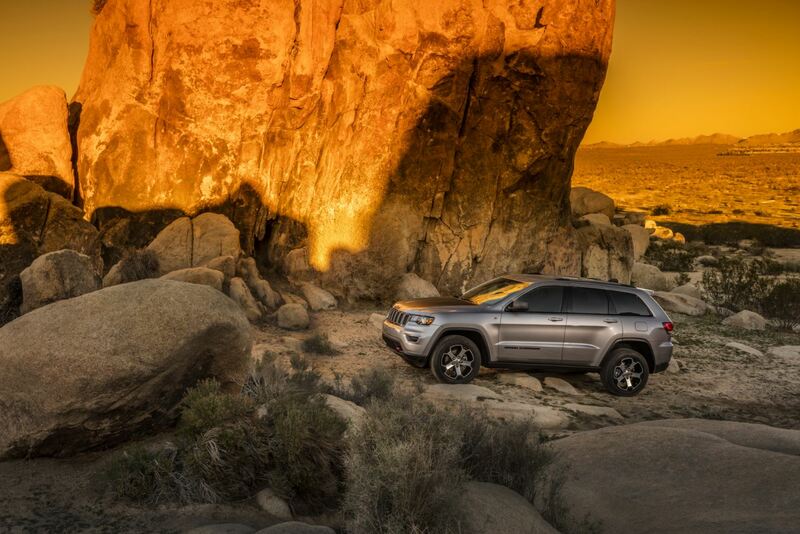 The Jeep Grand Cherokee SUV knows no bounds when it comes to handling off-road adventure and your entire family. We're also loaded with a pair of compact SUVs in the Jeep Compass and Jeep Renegade, each positioned to help you save on fuel costs without sacrificing Jeep 4x4 capability. Whatever your need, Tilleman Hi-Line Dodge has you covered. Stop in today to for a test drive! Tilleman Hi-Line Dodge in Havre, MT is proud to staff a team of finance gurus ready to help you into your dream car at a dream price. That means we'll be there to work with you, your credit history and assess any trade-in value you have available to keep the price on your Jeep lease as low as possible. Our professionals will also review Jeep financing plans, monthly auto payment estimates, current Jeep incentives, and more. Get the conversation with our experts started today by making a quick trip to Tilleman Hi-Line Dodge!